A new Liberty print design (S/S 2018) to brighten any dull day! 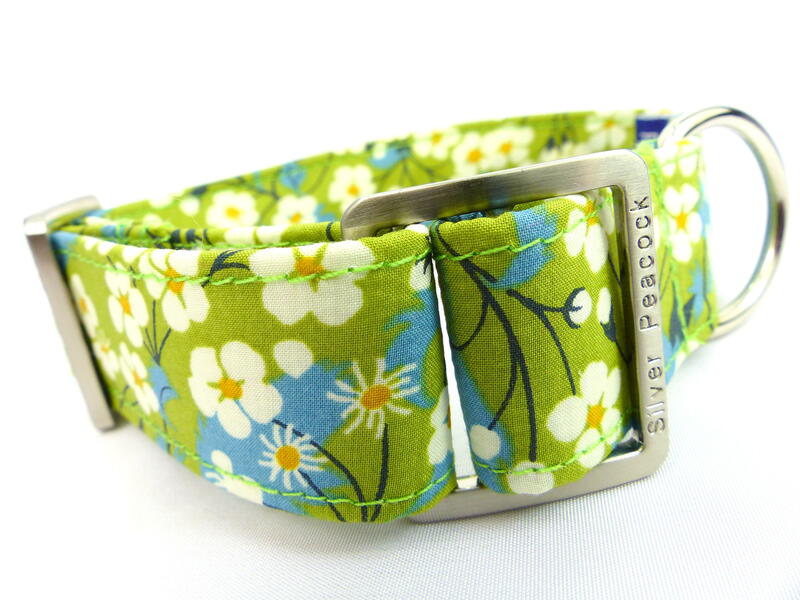 This collar is made of a Liberty print of classic paisley print but in a more unique colour way of red and orange on a background of bright blue. Being a genuine Liberty print it's printed onto the smoothest Tana lawn cotton fabric, making the colours rich and vibrant. The collars are lined in co-ordinating red and are finished with our signature robust silver coloured hardware.